Being our newest member to the Davey team, Alisha is situated in our Padbury office and specialises in the Northern suburbs. With 4 years’ experience in the Real Estate industry she is eager to continue growing and learning to benefit all her valued owners. 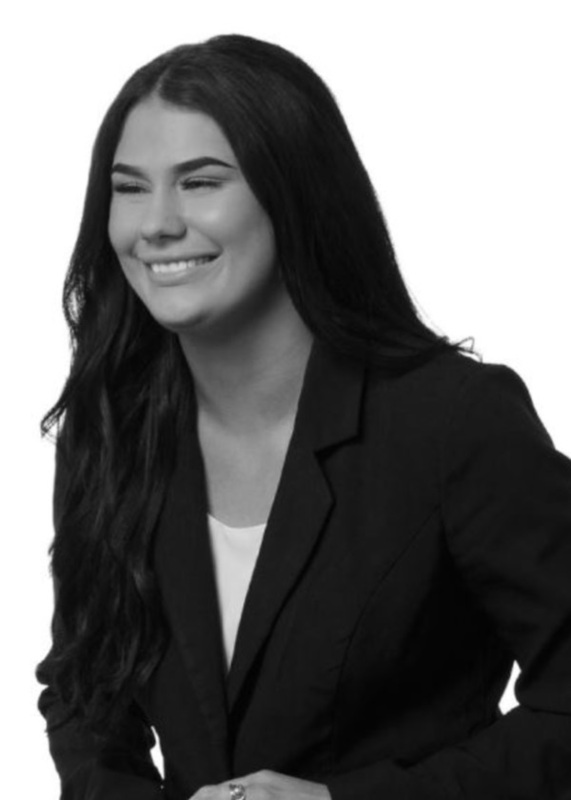 Alisha started her journey in to Real Estate in a Settlement Agency in her home town Geraldton, WA. She grew from being the Receptionist to an Assistant Conveyancer. Alisha then decided to make the big move to Perth as there were so many more opportunities just waiting to happen. In Perth she started as Receptionist in Real Estate and then promptly completed her Property Managers license and moving forward to managing her own portfolio. She’s now found her way to Davey and is one of our Property Managers who prides herself on always being kind and enthusiastic to everyone she communicates with. Alisha intends and always wants to build relationships with her owners, tenants and contractors as she feels it is a necessity in ensuring a smooth and joyful management and tenancy for all parties. Which then creates trust between all parties. Alisha continually ensures that she is up to date with all new and old legislation and always ensures to enforce it to her owner’s best interest. I was lucky enough to rent a property through Davey Real Estate. They were very responsive to my maintenance requests and extremely accommodating with rental inspections due to my work schedule. I cannot reccomend them enough especially my incredible property managers Tennessee and Alisha! Thank you for such a great experience! I’ve been a Tennant with Davey for 3 years and dealing with Tennessee Cousins for 2. She has always been easy to reach when needed, and maintenance issues (and it’s an old house so there’s been a few) have always been dealt with swiftly. If my family and I weren’t leaving the state we’d try to stay on board for many more years. This past year I had the pleasure of dealing with Tennessee, she is professional and so friendly, cheerful and always up for a chat. I look forward to many more years with her and Davey real estate. Have nothing but praise for Davey Real Estate and Tennessee Cousins. Communication, enquirers and requests have always been met with a quick response and no fuss. Davey Real Estate has been one of the friendliest, most helpful and accommodating rental agents I have rented through. Tennessee is efficient, professional and super friendly. Thank you for your great service! We recently had the pleasure of dealing with Tennessee at Davey Real Estate in relation to rental enquires. We have been renting for over 10 years now and so have met our fair share of property managers and found that Tennessee was by far the best agent we have dealt with in a long time. Her manner was not only friendly but most importantly professional and always responded to our queries very quickly. I have been dealing with Tennessee Cousins at Davey Real Estate over the course of a year regarding all my real estate needs, she is extremely professional & strives tirelessly to provide a high level of customer service for her customers. She is highly responsive, honest and has fantastic knowledge in the industry - all whilst doing it with a smile!! Thanks Tennessee! My wife and I have been tenants of a property managed by Tennessee Cousins. We would like to thank her for her professionalism in handling our tenancy. Not only has she been professional but she is also warm and understanding. This make us feel very comfortable going to her for any help. When the property has any maintenance issue she responded with such quickness that we found unparalleled in any other real estate agent. We can boldly say that Tennessee Cousins certainly set the benchmark for all other property managers! Once again a big thank you Tennessee. In my first rental property through Davey Real Estate - Tennessee Cousins has been my property manager for almost a year. She is professional, approachable and friendly, and always helpful with any queries I have. Nothing is too much trouble. Would have to say Tennessee is the best property manager I have had in all my years of renting. Tennessee has been my property manager for just over a year now. She is professional, down to earth and a people person. Ty Tennessee. We have been dealing with our property manager Tennessee Cousins for past few months now. She is highly proficient and efficient. All in all it has been a great experience dealing with Davey Real Estate - coastal. I have the most beautiful and lovey property manager you could ever ask for. I look forward to my rent inspections with Tennessee, always cheery and so polite and she makes you feels at ease when she comes to the house. My partner and I have been renting with Davey for a little over a year now, and we have had Tennesee Cousins as our property manager. We are often amazed at the professionalism and effort she takes to ensure that we are looked after. Any time we contact Tennesee with an issue, she is quick to respond and gets said issues resolved often on the sameday. Having rented 6 or 7 different properties since living in Perth, I would put my dealings with Davey at number 1 in comparison to other real estate agencies. I would definitely rent through Davey again in the future. Tennessee has been a fantastic account manager - we couldn't ask for a better one! Big alfresco and backyard for the FAMILY!!! !